Other Ingredients: Medium-chain triglycerides, softgel (bovine gelatin, glycerin, purified water, and annatto in sunflower oil), ascorbyl palmitate, white beeswax, and sunflower lecithin. CoQ10 and the CoQ10 cycle play fundamental roles in the antioxidant and energy systems of the body. The ubiquinone form of CoQ10 is produced in the mitochondria, where it directly participates in energy production by accepting electrons in the electron transport chain. Through the action of a specific enzyme, ubiquinone is rapidly converted to ubiquinol, the lipid soluble form that supports antioxidant activity throughout the body. Both ubiquinone and ubiquinol are critical to the cellular ATP (energy) production cycle. Without the presence of both ubiquinone and ubiquinol within the body’s cells, cellular energy cannot be generated or sustained. 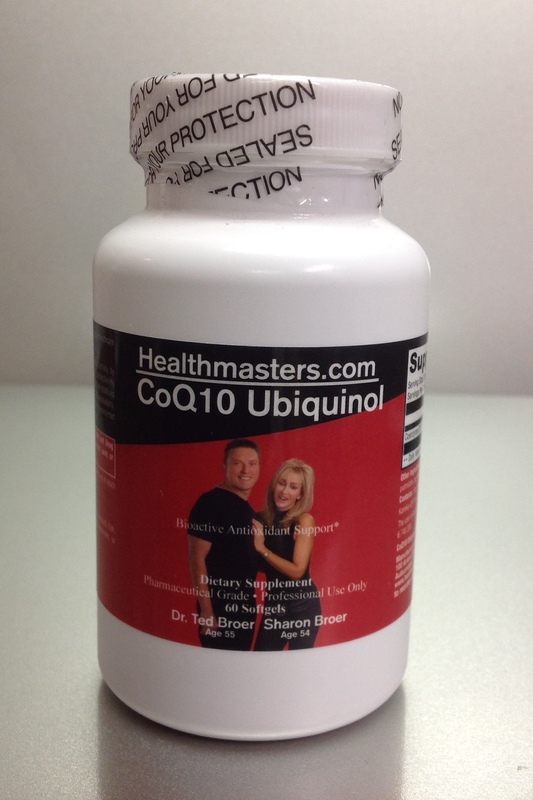 Ubiquinol is the bioactive form of CoQ10. Conversion of ubiquinone to ubiquinol declines with age, particularly after age 40. Ubiquinol levels have been shown to be suppressed in older individuals and those with cardiovascular, neurological, liver- and diabetes-related conditions. Until recently, the ubiquinol form had not been effective as a supplement because it was chemically unstable and easily oxidized. Our formula contains a patented, absorbable form of ubiquinol that maintains its structure and stability in the gastrointestinal environment. Ubiquinol, representing over 90% of total body CoQ10, is efficiently converted to the energy-generating ubiquinone form as the body needs it. Ubiquinone will continue to be an important supplement for those who want to maintain good health in their 20s and 30s. Ubiquinol, however, will be of particular importance for those 40 and older, or with hindered ability to convert CoQ10. Antioxidant Status: Oxidative stress is detrimental to the integrity and function of cell membranes and tissues, and ultimately to DNA itself. Antioxidant status must be maintained throughout the body in order to protect vulnerable cells. Research indicates that ubiquinol supports antioxidant activity, including the regeneration of vitamins C and E, helping to maintain normal levels of free radical activity in the body. Researchers also suggest a possible role for CoQ10 in redox control of cell signaling and gene expression . it is one of the most powerful known lipid-soluble antioxidant available, protecting the body’s cells from damage caused by oxidative stress and free radicals. Cholesterol: Antioxidant protection is vital to maintaining the integrity of cholesterol and its role as a precursor to vitamin D, hormones, cell membranes, and brain tissue. Reactive oxygen species, including superoxide released by immune cells, cause the oxidation of cholesterol and can turn a vital biochemical precursor into a toxin . Heart Health: Research suggests that patients experienced significant support of cardiac function after receiving supplemental ubiquinol (an average 450-580 mg per day). These patients achieved more desirable levels of serum CoQ10 when switched from ubiquinone to ubiquinol . Researchers suggest that ubiquinol had dramatically improved absorption. Research on the elderly also appears to indicate that supplemental CoQ10 can increase tolerance to aerobic stress in cardiac tissue . CoQ10 Depletion: Serum CoQ10 levels decline with age but are also reduced with the use certain prescription drugs such as statins . Kaneka QH™: Stabilized ubiquinol was developed by Kaneka Corporation (the world’s largest manufacturer of CoQ10) and was found to be safe and bioavailable following single and multiple doses [6,7]. Kaneka QH™ is considered to be the gold standard by many when it comes to sourced forms of ubiquinone and ubiquinol. Kaneka Q10® is the only yeast-fermented CoQ10 and thus does not contain the impurities that synthetically processed CoQ10 does. Kaneka Q10® has also been used in the vast majority of all clinical trials over the past 30 years and is the only CoQ10 ingredient manufactured in the USA; Pasadena, Texas.